During the winter, our skin takes a huge hit when the weather changes. Every day the sun shines less and less, leaving us with very little vitamin c. If we don’t moisturize properly, our skin is dry, itchy and flakey. Not only are we getting less and less vitamin c, but we are also experiencing dry heat from being in our home or in the office. Winter makes it difficult to keep your skin moist. 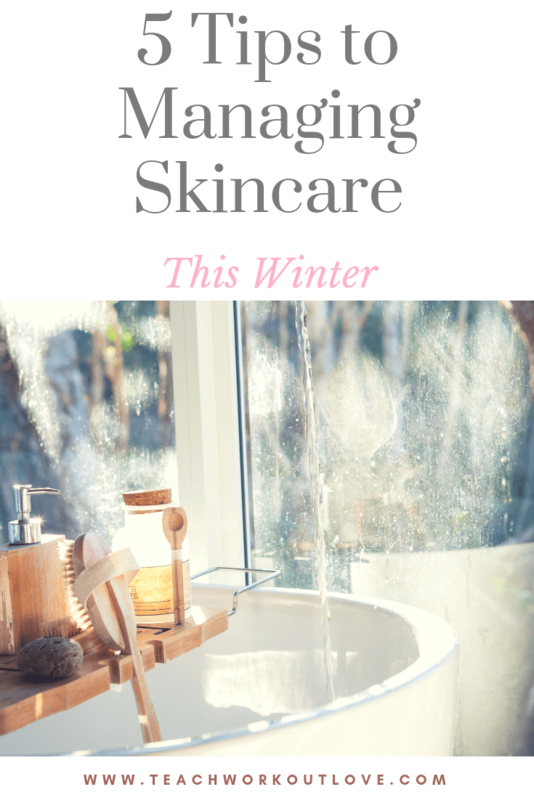 This article will give you 5 tips to managing your skincare this winter. Exfoliating means you are getting rid of dead skin that is sticking on top of your new skin. When you don’t do this, your skin gets itchy and flaky. In the winter, our skin gets like this more often than any other season. The best scrub to use now is Hemp Scrubs. 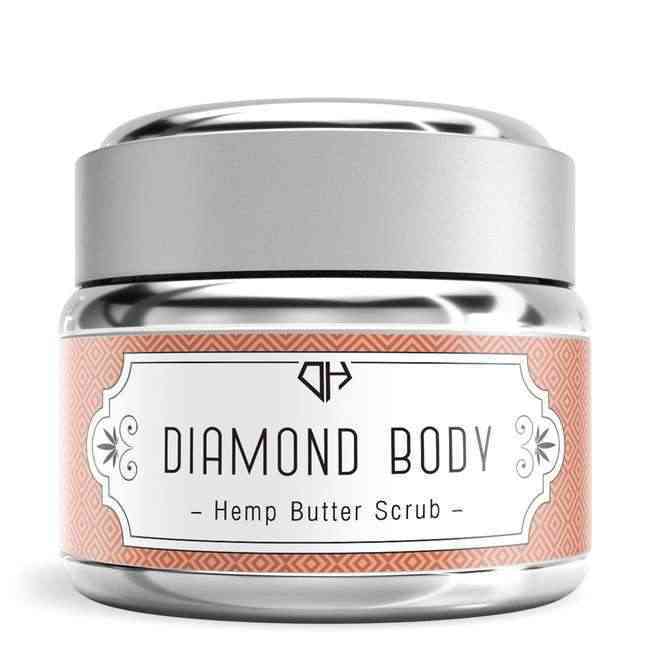 Hemp Butter Scrub is a ultra-moisturizing sugar scrub with Shea Butter. It is nourishing to the body with its sweet almond oil and organic aloe leaf. This scrub is soothing and hydrating at the same time as exfoliating and leaving the skin looking radiant and feeling great. It comes in a coconut fragrance. Not only does it make your skin feel great, but it is easy to use. Apply in the shower and gently massage in a circular motion for best results. Another great exfoliant is Hemp Body Scrub. The body scrub comes in a blue green algae body butter polish. It’s created with pure, nutrient, and antioxidant blue green algae. Blue Green Algae body scrub features sea salt and shouldn’t be used on cuts, sensitive skin or on the face. Diamond Bathe gives your skin the nourishment it needs with natural ingredients. Addition ingredients are organic Cocoa, Shea and Mango Seed butters provide deep moisture and hydration. That sounds perfect for the upcoming winter. A bonus is it smells amazing! Along with exfoliating your body, you must moisturize your body. 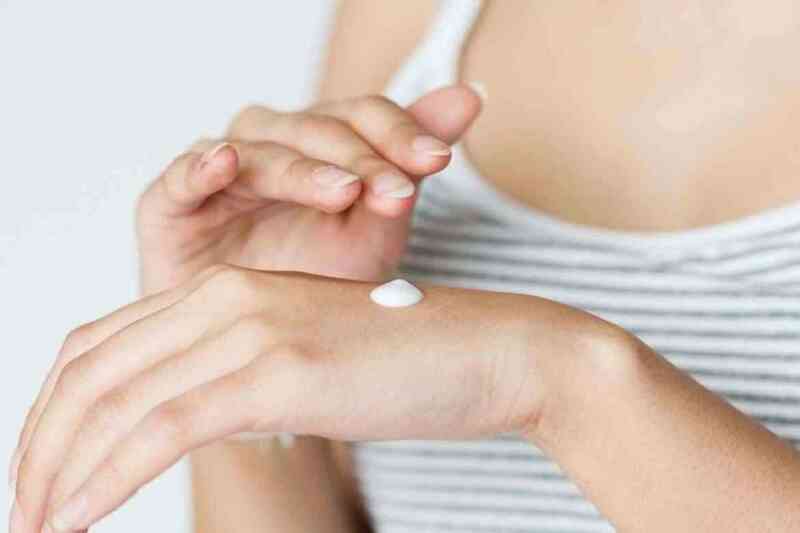 There are so many different lotions that you can buy, but which is the best for the winter? Hemp moisturizers are the perfect solution to a long, dry and itchy winter. These moisturizers are fragrant and moisturizing. They provide deep skin hydration using pure hemp oil and natural botanicals. Here are a few different options that you can pick from. Hemp Antioxidant Facial Serum: The serum works for all skin types. It is light in consistency and is deeply moisturizing. There are nutrients, protein and antioxidants. The Facial Serum is ideal for a daytime moisturizer. Not only is it great during the day, but you can use it at night too! The Facial Serum is a daily revive for your skin after cleansing. To use, place a pea size amount onto finger tips and spread evenly on your skin. Within 5 minutes, your skin will feel soft but not oily. DMAE Cream (Diamond Essentials): The Diamond Essentials DMAE, is formulated to rejuvenate the face and body. Dimethylaminoethanol and Methylsulfonylmethane work together to tone the skin. They both smooth fine lines and help prevent wrinkles. Your skin will look the best every day with this powerful hemp-based antioxidant formula for the skin. To use this product, use this daily every day and night after cleansing. Pay special attention to hands, feet, and elbows for dry skin. Hawaiian Rain is the fragrance for this cream. Diamond Aloha Antioxidant Hemp Cream: Want to have your skin feel luxurious? The skin will be soothed by the beautiful Hawaiian Rain scent. Almost like the trip to the islands. Made with organic antioxidants and pure hemp oil. You can use this to maintain a healthy youthful glow while fight fine lines and wrinkles. The cream can be used night or day after you cleanse. All these creams for your face or body help keep you hydrated and feeling refreshed. Look at which one works best for you! When you are showering, it is important to use lukewarm water. Although hot showers and baths make you feel good in the winter, don’t do them! Choose lukewarm water to prevent from stripping many oils away from your skin. Heating the bathroom first before getting into the shower can help prevent you from putting the water on too warm. In the winter many buildings along with your own home, heating systems are sending dry air out. Dry air causes your skin to dry out and crack. This is where moisturizer is key, but to prevent this from happening, get a humidifier. The best location for a humidifier is in your room or your children’s room. The humidifier can help get some moisture back in the air and help save your skin from drying out. Winter time is a when most people tend to drink the least amount of water. Turning to hot drinks like hot chocolate and hot lattes is the direction many go in. We also don’t tend to exercise as much or go outdoors because of the weather too. Many times, we just plain forget to drink water! Plan to drink more water during the winter so that you can stay hydrated. Add a little lemon to your water to make it tasty and keep track. Have a contest with your family or office to get everyone around you to be drinking more water. Staying hydrated helps you stay refreshed and most importantly, keep your skin hydrated throughout the harsh winter. If you are looking for a great company that promotes beauty and well-being through natural ingredients, you have found them. Diamond Hemp believe in hemp as a powerful botanical that works naturally with other ingredients. Their hemp oil combines the benefits of help with other natural ingredients for powerful hydrating and age-defying effects. They meet the highest standards for purity, potency and freshness. Thank you for suggesting a good skin care product as well as tips. We have to take extra care of our skin in the winter otherwise we may have to face a skin problems. I am using Organic Body Scrub which is a good moisturizer. Yes! This is so true – winter especially, and body scrub is the best, and even better when it’s organic.